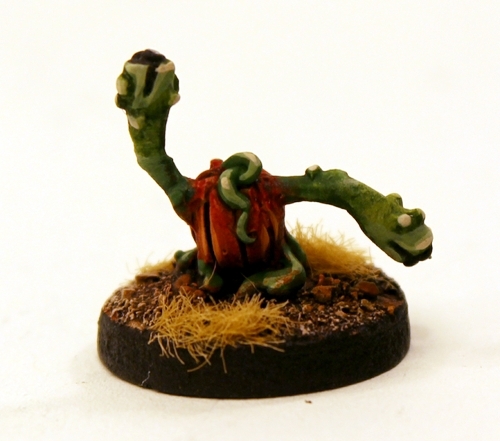 The Ion Age Blog: IMP27 Florian Pumpkin Spore free miniature for November 2015! 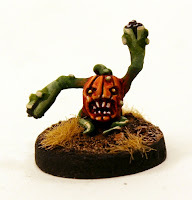 IMP27 Florian Pumpkin Spore free miniature for November 2015! Hot damn October was big for The Ion Age and now we enter the spooky month towards years end with November and of course a new monthly free miniature for that month. November will see several large things happening with us including the release of ten more variants of Bob Naismith's Taranis Main Battle Tanks (Wheeled and Lifter propulsion systems) as well as the first two packs in Dave Foley's range of 15mm non military miniatures released. As well as this we will be upgrading the Rewards Points loyalty system for The Ion Age adding in greater rewards and a brand new unique character vehicle you can get with your points! We will also pre-view next month's fun and end the month with a Black Friday weekend event that you will love! I also suggest that you join our Mailchimp email list (link on the top right) since this email weekly lets you know what is going on and features a unique offer that is really worth it. This month its not half a 'dome' good offer so sign up and find out. Lets push on! IMP27 Florian Pumpkin Spore. For the whole of November this spooky 15mm miniature is automatically put into every order at the rate of one per order regardless of order value. It can also be bought in any amount on the monthly IMP page of the website for this month only too before being withdrawn on the first of next month. The Florians are an enemy of all life on a planet that is not of their origin. Vast seed pods from the void of space take root on a world before the Florian Incursion begins. Growing at an exponential rate and re-making existing plants and animals into their own image the Florians spread like a carpet across a planet and take it for their own. At the limits of the Prydian Precinct they are as alien as life comes! The miniature is one piece in white metal and stands approx 10mm tall. A great character and start to the Florians. Go HERE. We look back at what was going out free this time last year and now also in our first year too. In November 2014 it was IMP15 The Witch Knight and in October 2014 it was IMP03 Knight of the Dead. You can get them in the Year Collections of formally free on our website HERE but if you click on the links over the codes you can see the blog post from that month and year and see what else we were up to at that time. Time flies and sometimes we forget and I always enjoy the new month update and to look back at last year and further...so much done and so much still to do!